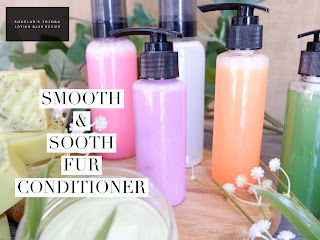 Hey guys, today’s recipe will be the smooth and sooth fur conditioner. 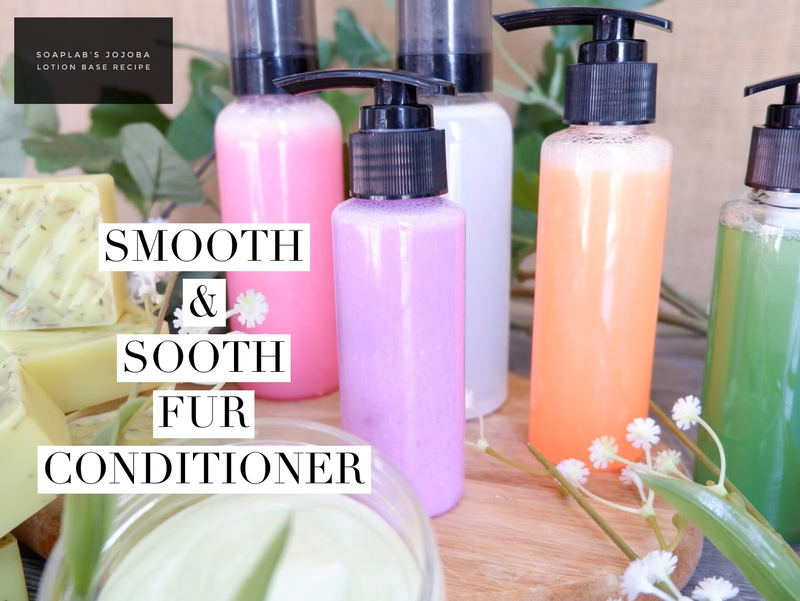 The conditioner uses a jojoba lotion base, which is great in treating dry skin. The jojoba also clings on to the fur of your pet leaving it smooth and moisturized. Next add, lavender essential oil and green tea extract. Lavender essential oil has a positive and calming effect on your pet. Green tea extract is a great cleansing agent and is great in soothing irritation on the skin. To make it foamy and soapy; add cocamidopropyl betaine with purple liquid color pigment for coloring. This is perfect for a quick pet conditioner. Just apply on pet after shampoo for 5 mins and rinse.